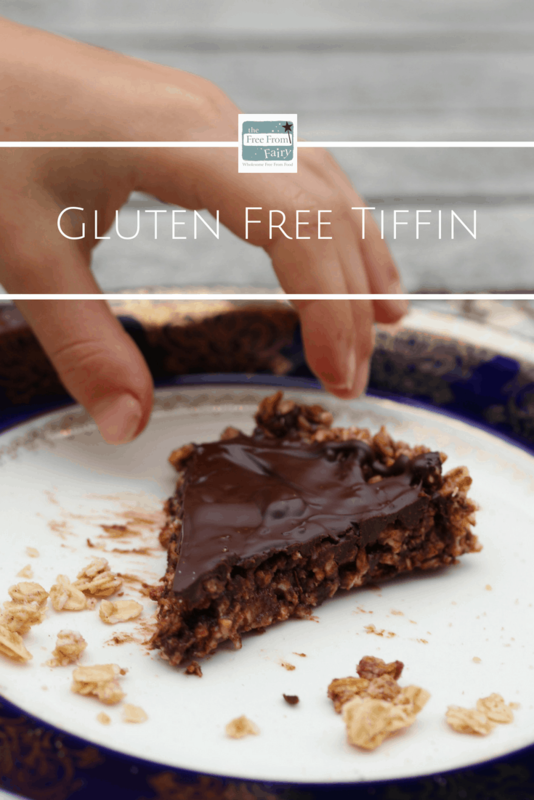 Gluten Free Tiffin And A Huge 'Free From' Giveaway With Nature's Path | The Free From Fairy. Today I’m very excited to share my gluten free tiffin recipe with you. My new gluten free tiffin recipe is made with one of my favourite things; Nature’s Path granola, instead of biscuits. 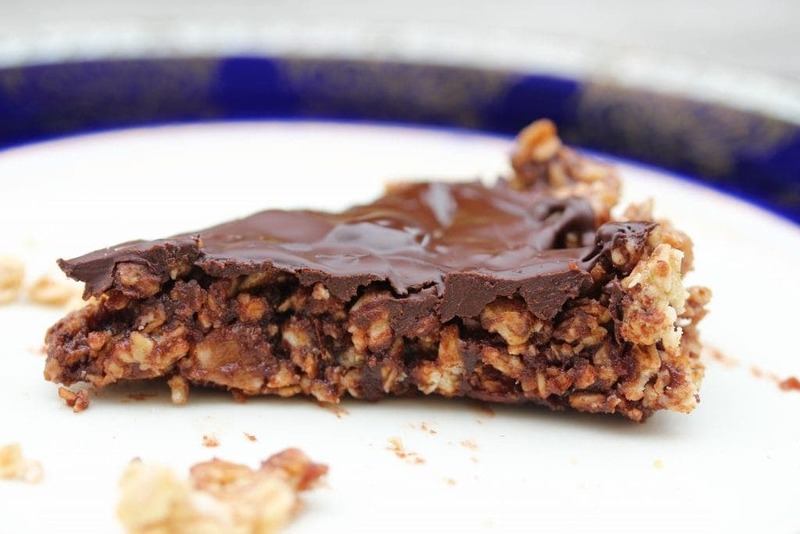 (If you want my other tiffin recipe you’ll find it here. Don’t be put off by the cricket flour, if you don’t want to use that there are substitution options). 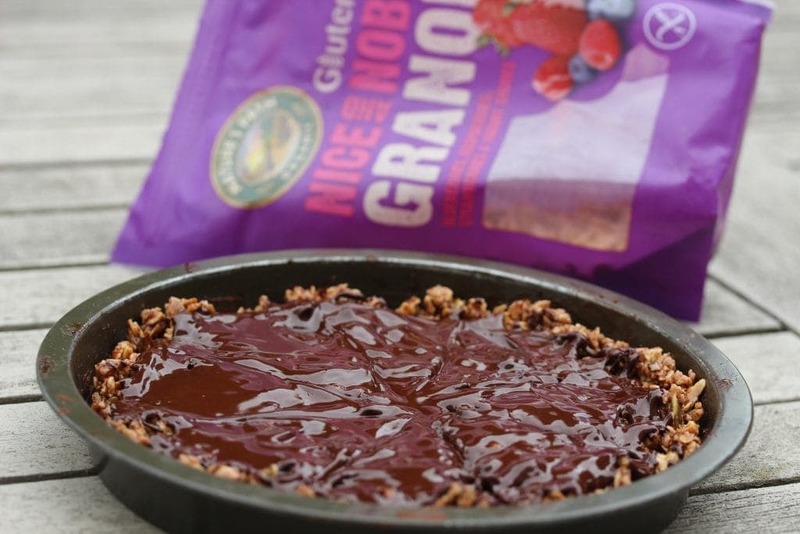 If you’ve never tried this granola then you really must. It’s a treat in our house that gets scooped out of the bag and eaten by the handful. It rarely makes it to the breakfast table, instead being eaten as a snack, sprinkled on ice cream or enjoyed with fruit for pudding. Nature’s Path are one of my favourite ‘free from’ companies. The company was founded in 1985 inspired by the mantra that “we should always leave the earth better than we found it.” Something that the founders father always used to say. All of their products are organic and produced in a sustainable manner. The vast majority are gluten free too. I adore tiffin and given the versatility of Nature’s Path granola, I wanted to try making gluten free tiffin with it. Tiffin is usually made from crushed up biscuits, but instead I took the granola and used that as the base of the recipe. Nature’s Path make two flavours of their granola. My favourite is the blueberry, raspberry and strawberry one. It has freeze dried blueberries, strawberries and raspberries in it along with yoghurt chips. The pumpkin variety contains almonds, dried cranberries, raisins and cinnamon. 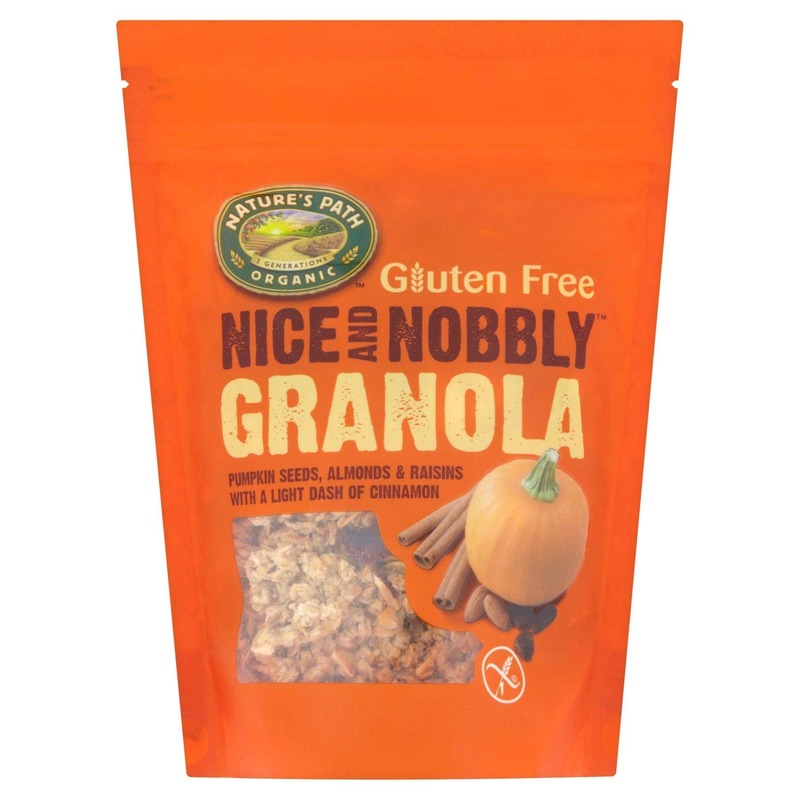 The added ingredients in the granola enhance the incredible flavour in the gluten free tiffin. I can’t quite decide which one makes the best gluten free tiffin so I’ll leave you to decide. I suggest you make the recipe at least twice using each variety. 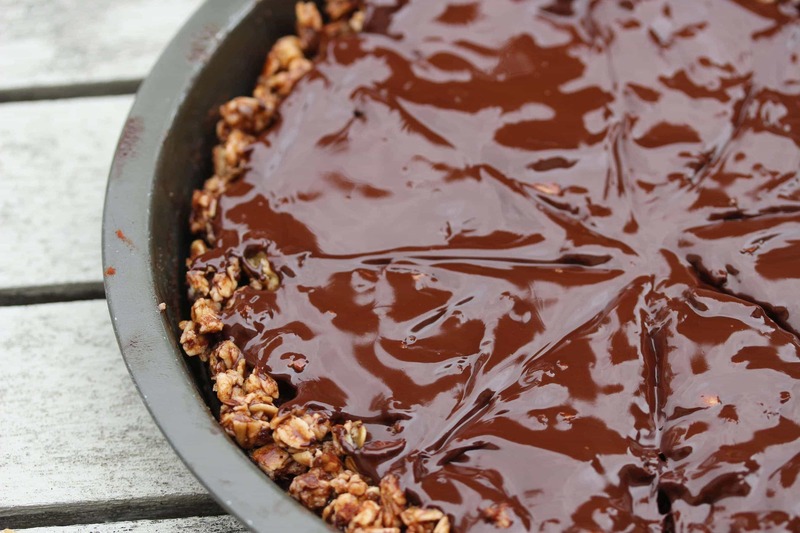 If you want to reduce the sugar content of the recipe then leave the chocolate off the top. They are still utterly delicious. Before I share the recipe I have one more exciting thing to announce. I’ve teamed up with Nature’s Path on a fabulous giveaway. Two brilliant cookery books by Naomi Devlin. The cookery books are the best ones you can get if you’re on a gluten free diet. In order to be in for a chance of winning this fabulous prize all you need to do is log in using your Facebook account or email address in the box below and follow the instructions. You have until midnight on Tuesday 28 August to enter. If you’re new to entering competitions using Rafflecopter then you might find this guide helpful. The giveaway is only open to UK mainland residents over the age of 18. No cash alternatives will be given. The winner will be picked at random and emailed to request a postal address. You will have one week to supply an address before another winner is picked. The prize will be fulfilled by Nature’s Path directly. Once firm, melt the chocolate, if using, and pour it over the top. Quickly spread it out and place back in the fridge until set. 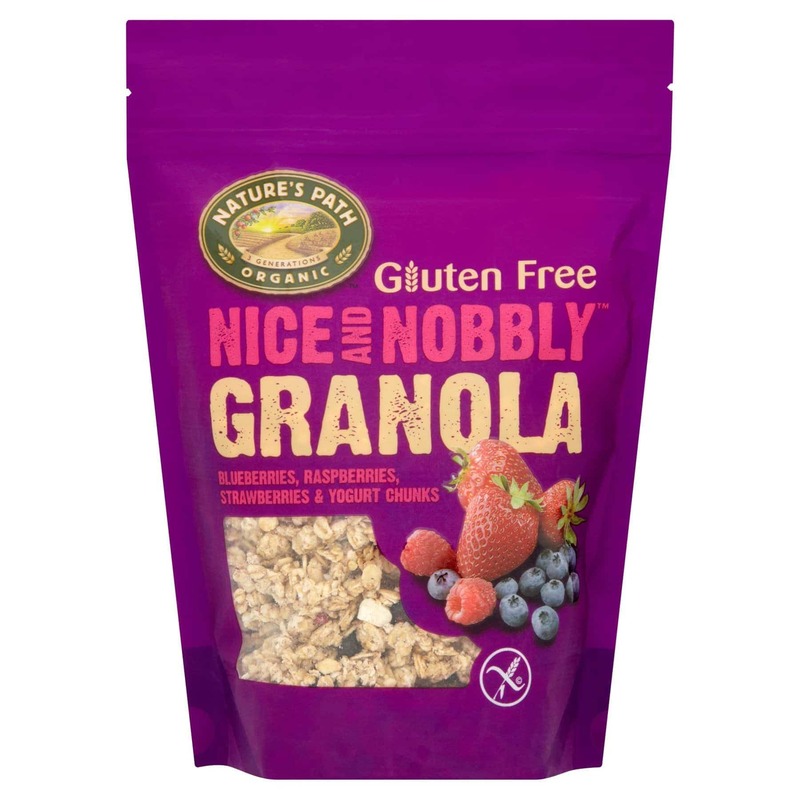 If you’d like to buy the blueberry, raspberry and strawberry granola you’ll find stockists here (RRP £3). If you’re interested in the pumpkin seed, almond and raisin one then you’ll find all stockist details here (RRP £3). This is a collaborative post for Nature’s Path. 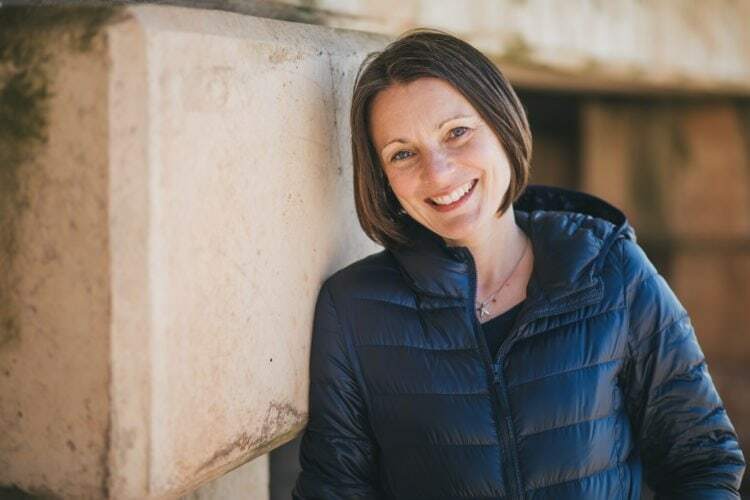 l would love to win as l’ve just started baking gluten free as our oldest daughter has been diagnosed as intolerant and as l get older l’m finding l have less tolerance to it. So i’m enjoying my journey and finding all the recipes and the hits and misses, its all trial and error but i’m enjoying it!. Just found out I’m coeliac two weeks ago. That bit of an adjustment is necessary is an understatement… this bundle might make it easier to deal with! 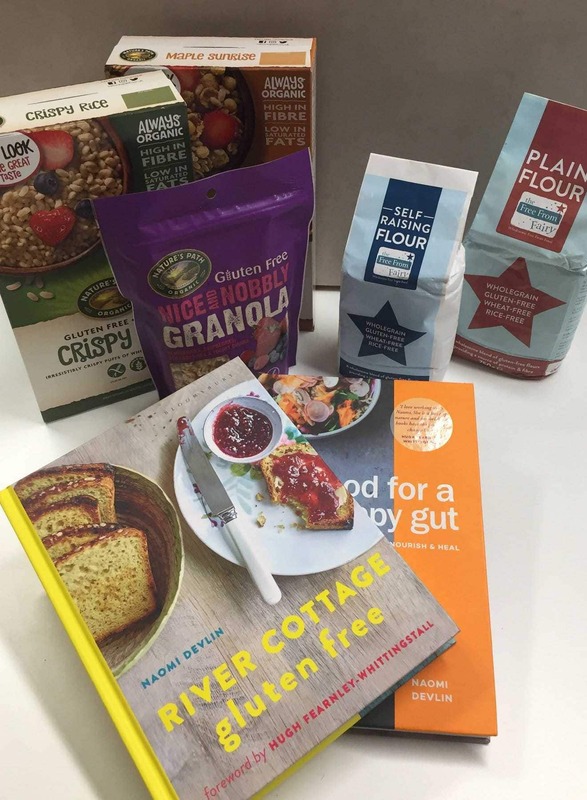 I would love to win this prize because my cousin from Australia is coming to visit and she has to have a gluten free diet so this prize would be wonderful! 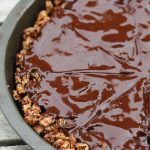 I love to bake and am vegan, I have friends with allergies so it’s always great to have recipes for them! Please count me in! I’d love to win because Nature’s Path granola is my favourite! Both my son and I are glutenfree so we are always on the lookout for new gf items to try. My Auntie is glutton intolerant so would love this for her. I would like to win because both me and my 5 year old have to follow a strict gf diet, we miss baking all of the time!